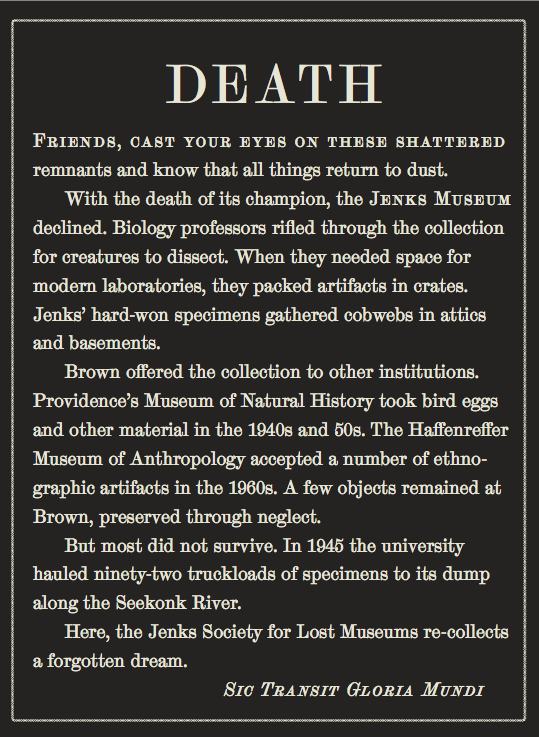 Exhibit labels on view in The Lost Museum. Photo by Meia Geddes. 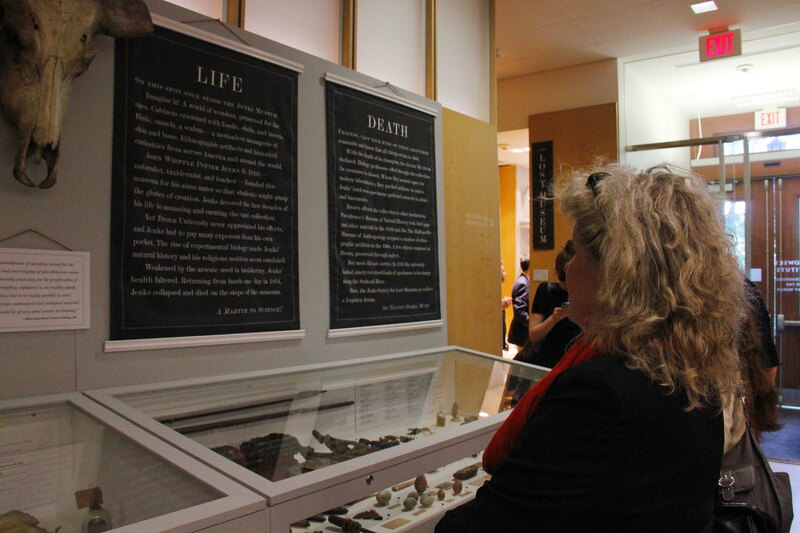 One of the Lost Museum exhibit labels — “DEATH” — has been recognized for Excellence in Exhibit Label Writing by the American Alliance of Museums Curators’ Committee. “Death” will be on display with other selected labels from museums around the world at the upcoming American Alliance of Museums conference in Atlanta. Thank you to AAM and the judges of the competition. This means a lot to us, and we are honored to have been recognized. The “Death” label. Graphic design by Benjamin Shaykin.